Holiday Catering in Reno Tips: What's Crackin'? Chestnuts! 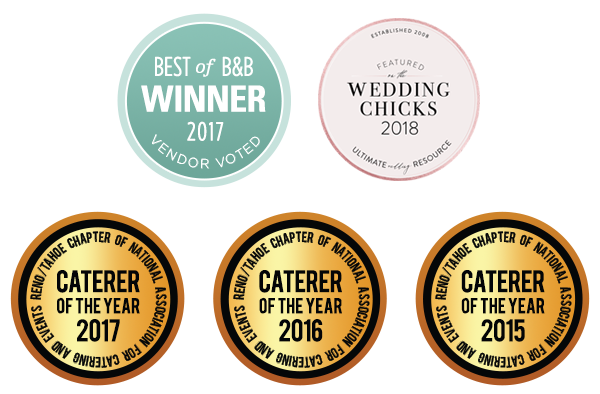 These posts are for those who find themselves in the kitchen thinking, “there’s got to be an easier/better way.” Of course, the easiest/best way to end up with a sensational meal is to pick up the phone and call Blend Catering in Reno, because we love to cook for events big and small. But, for all the times you find yourself rolling up your sleeves and taking command of your own kitchen, these posts are here to help you discover our chef-approved food tricks and professional hacks so your cooking will go more smoothly and taste better! Despite the influential tastes of Nat King Cole (OK, and Michael Buble), there are all kinds of scrumptious ways to savor the complex sweet, earthy flavor of these meaty nuts. 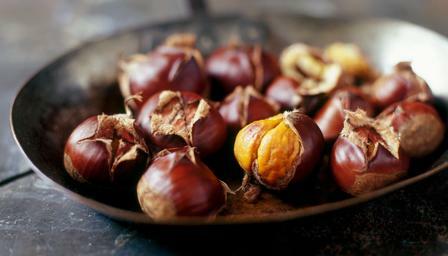 And since they pretty much only happen in the holiday months, adding a taste of chestnut even to your go-to soups, green dishes or garnishes just seems to enrich them with that end-of-the-year feeling. Here are a couple suggestions. All of which require that classic first roasting step. Roast them. You can do this over/under a closed fire (aka oven). First, carefully cut a little X on their flat sides, then give them 25 minutes at 350℉. (You can also boil them.) Get to peeling before they cool/harden. A neat trick: turn the oven down to 200℉ to keep your stash warm while you work in batches, popping the nut out of the skin through those X’s. If they give you trouble, chop them in half and smash them like garlic cloves! Pumpkin or Butternut Squash Soup. Adding whole-peeled chestnuts to this fall harvest classic lends some nice structure and texture–not to mention flavor–to what can otherwise turn out a bit thin. Sautee them … with bacon! We recommend adding some blanched pearl onions, nice ground pepper and even some fresh parsley. Brussels Sprouts. However you like to prepare your sprouts, add roasted chestnuts for the last 20 to 25 minutes or so will make you wonder how you ever cooked them without their nutty buddy. Ravioli. Mash up your whole-peeled chestnuts into meal-like mush, mix them with mascarpone cheese, seasoning, and fill your dough pouches. And then again, at the end of the day, if it sounds too hard to crack, you can always call us! Blend is currently taking orders for holiday catering, from catered Christmas dinner meal delivery and romantic stay-at-home dinners for two to office holiday parties and New Year’s cocktail parties.